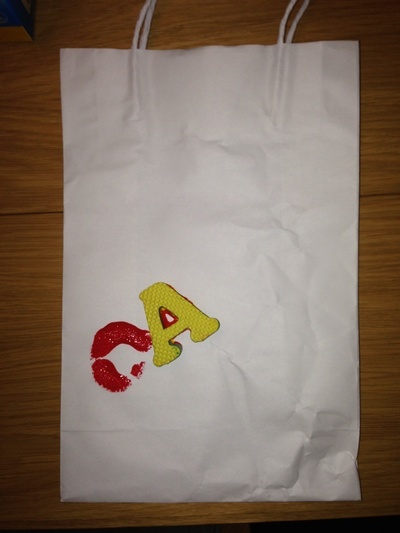 This is a fun and simple way to make a gift bag for a kids birthday present. Children can have fun dipping the sponges into the paint and creating words and names. Lay the bag on a table or flat surface. Squirt each colour of paint onto your palate. 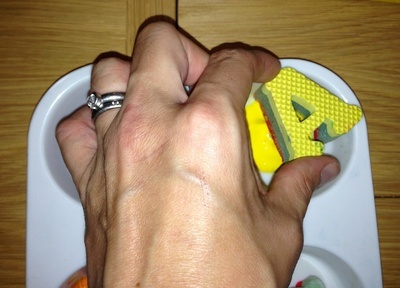 Carefully dip the desired letter sponge into the paint, making sure the bottom of the letter is covered in paint, but not saturated in it. 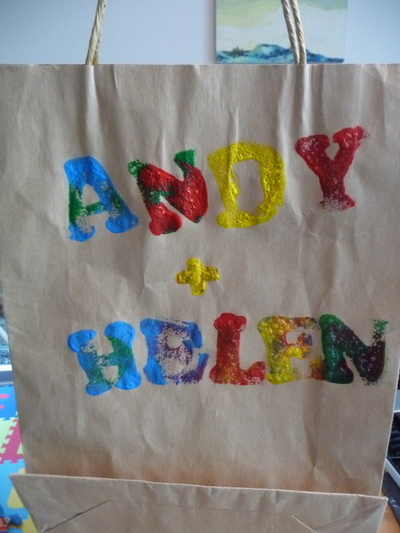 Sponge a desired word ("Happy Birthday") or somebody's name on the bag using one or several colours. We find that after one solid colour, the paint mixing begins and you can get some interesting colours. 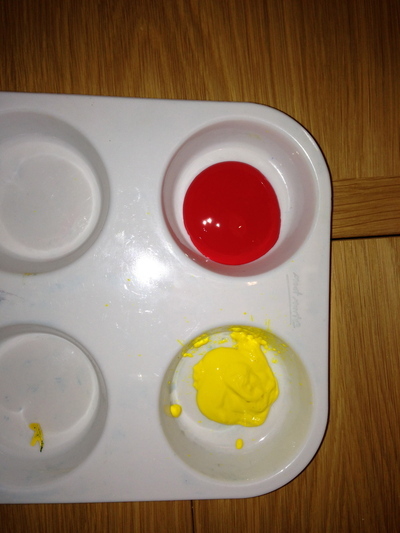 This is also a good way for children to learn to mix primary colours to obtain secondary colours. Let bag dry before use.